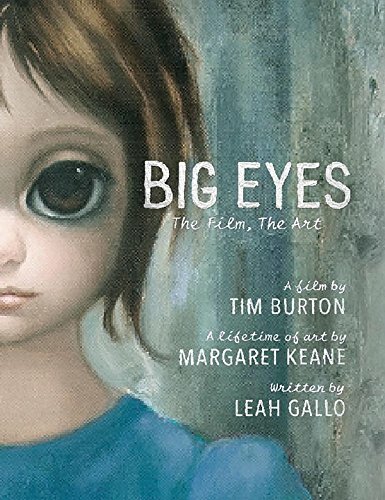 Big Eyes: The Film, The Art is actually a making-of book rather than a full fledged artbook. It's a large hardcover with 192 pages and 109 are devoted to talking about the production of the film. This is a film eleven years in the making before it was finally picked up and directed by Tim Burton. The original masterminds of the film are writers Scott Alexander and Larry Karaszewski. And the main star, Margaret Keane. I didn't know what to expect when I bought the book. Big eyes. Isn't that from Japanese anime and manga show? Margaret Keane's paintings are different, more haunting, at least to me. I finished reading the book in one sitting. The writeup is intriguing, covering how the story was first conceived, the repeated failures to get funding to finally landing Tim Burton, production stories and how the life of Margaret Keane was adapted for screen. Ultimately, it's the story about Margaret Keane vs Walter Keane that really got my attention. There's just so much dynamics and politics going on in their relationship. Who would know that behind the paintings of big-eyed characters, there would be such a complicated story. Lots of behind-the-scenes photographs are included. They nothing too out of the ordinary though, certainly not those you would use in film magazines. The remaining pages feature a selection of over 40 paintings by Margaret Keane. These are mostly from 1959 to 1963, with two from the 80s, one in 2011 and one in 1956 where the big eye effect is not as obvious yet. They are not arranged in chronological order though for some reason. And there's no mention whether if these are the paintings used in the film although I think they are because I saw a few in the photographs. It's a nice companion for the movie. Treat it as a making-of book and you won't be disappointed. There aren't many pieces of Keane's art to make this a complete collection so the book feels neither here nor there in that sense.